(c) Ed Seykota 2003-2015 - Write for permission to reprint. We have various trusts and short term liquid investments of about $650,000. Together, we have a returement income of about $6,000 per month and expenses of about $6,500 per month. We have a house worth about $1,000,000 with a debt of $50,000. Please let me know if you need any additional information and thank you for looking at our financial situation. Thank you for sending me your information. Congratulations on achieving your situation, and for exercising self-discipline and good judgment. At this point, you could continue on indefinitely, without substantially reducing your net worth - particularly if you already have medical and home insurance in the mix. So, now we can evaluate the marginal utility to you of speculating in the futures markets. You might expect day equity wiggles, of a couple thousand dollars per contract per day and this might add up to considerable volatility; if you have twenty positions on - or even two, the daily, weekly and monthly wiggles might exceed your appetite for volatility - and add extra anxiety to your lives - or shake you out at the bottom of a normal correction. For an individual account, you don't have much of a flywheel until you establish an account in the $500,000 to $1,000,000 range - a commitment I consider overly aggressive for your situation. Also, even if you get lucky, I don't see how speculative gains stand to enhance your lives in that you already do what you like to do and you seem to keep your spending in line with your income. On the other hand, if you take a large risk and lose, you might find yourself with a substantially smaller nest-egg, and nagging regrets about taking big losses late in the season. You might note that you already have an inflation hedge in the form of your home and a deflation hedge in the form of a retirement income stream and money in the bank. All in all, I see no particular advantage in your engaging in futures speculation at this point and I see risk of substantial and unrecoverable damage, if things go wrong. If you have an itch to trade that just won't go away and you decide to medicate it by trading, you might consider taking a very small portion of your liquid assets and buying in to a futures fund. Also, you might consider taking your feelings about <having enough> to Tribe. I am late with my interim lab report. I will provide a draft over the weekend. Thank you for sharing your process. I acknowledge my intention for you to miss the deadline and my intention for us to have a <lateness> issue to address in Tribe. as i read in many books and articles that you are a trend follower trader, so how to you follow trend ,means what are your techniques and especially how you manage risk for large quantities ,plz give some guidance on trade and risk management technique Thank you for raising this issue. You might consider working through the exercises on the TSP (Trading Systems Project) page, at resources, above. You have been quoted as saying that "the average trader should find a superior trader to do his trading for him, and then go find something he really loves to do. We have never dealt in futures or had success trading in the market. We need an experienced trader to grow the savings that we have accumulated in order to make the transition to retirement." We believe that you are that superior trader and we would like you to trade for us. Thank you for reaching out to me. You might consider that a futures contract can move several thousand dollars in one day. So, for a trend-trading system, you might imagine a normal entry risk of, say, $2,500 - $3,500 per trade. If you risk about 1/2% per trade, you indicate an individual account size of $500k - $700k. Furthermore, unless you have a very strong stomach,	you might consider placing no more than 10% - %20 of your liquid net worth into an individual futures account. That, then, requires a liquid net worth of about $2,000.000 - $7,000,000. You can establish a trading account for less than that - although you might have to count on luck, skill, and substantial volatility. I wonder if you can tell me something about your current financial situation, such as assets, liabilities, liquid net worth, income and expenses. In case you don't have a "net liq" in the $5 Million range, you might consider participating in a fund,	in which you can own a piece of the action and enjoy less volatility. Re: Show Them to Me on April 1, I especially like the part where he doesn't discriminate against old breasts or even male breasts! Thank you for sharing your process. Re FAQ April 1 2015, "Tribe Meeting Report"
"...We reenact and HS gratefully declines and forgives the old rock, seeing his mother means well - he receives her good intention..."
"...HS forgives the old rocks..."
> FAQ: I wonder if you can provide more detail about how you conduct the fore-give-ness process. We ensure via the reenactment that the hot seat really "owns" the current rocks, that they fully feel that the current rocks are theirs and that they use them. We then ask the hot seat if they feel happy with their current rocks and want to keep using them. When they think about it and decide they want new (heart) rocks, we find them together. During the following re-enactment, the original donor offers the old rocks again, with some considerable degree of conviction, insistence and persistence. The hot seat then acknowledges the donor's good intention in offering the rock, thanks them for it, and says that they no longer need it, or that it is not for them any more, or that they can't accept it. Usually they thank the original rock donor again. The new rock donor then proceeds to offer the new heart rock and associated rocks. We find that people sometimes feel reluctant to forgive the old rock and the old rock donor. We work through this issue in such cases. Often the feeling of anger then turns into a compassionate feeling of sorrow or pity for the donor, that they were doing their best but this was the all they could do. In our Tribe we talked about receiving the donor's good intentions as well as noting their often counter-productive behavior. We have found so far that people don't usually seem angry at the rock / strategy, but more at the donor and the perpetrator. So forgiveness usually goes to them, and indirectly to the rock. I hope this clarifies our current process. Thank you for clarifying your method. In the Puerto Rico Tribe, Fore-Give means, literally, to give back. It has nothing to do with forgiveness in the sense of absolving the guilt of the donor or of the perpetrator, or giving people a "second chance." In this sense, forgiveness does not go to a person; fore-giving transports the rock back to the donor. In this process, the rock donor can greatly help the client by resisting the fore-giving process, in order to support the client in strengthening his commitment to surrendering his old pattern. This, in turn, helps to augment the client's receptivity for the Heart Rock. I am writing again to share my situation, last e-mail in Oct of 2014. I am really feeling down right now. In the last e-mail I sent I wrote about my trading account being down to almost zero, (I seem to have the same drama pattern including the whine cycle). I decided to sell some belongings (some of these were cherished items) to pay for expenses and also used the charge cards, which are now ma xed out. I did all of this with the idea that I would trade profitably again. That did happen for a bit but, pulling some money out and some losing trades I am back at the edge of zero again. I am out of the workforce for 16 years but, dusted off my resume and explored finding a job. This did not pan out, I tried to focus on trading and this too is not panning out. I am 52, I have a BSEE and an MBA and I have almost no money and no income. I have bills due on Friday and no way to pay them. I feel embarrassment and shame and overwhelmed. As with my trading account being so low, I am also feeling low, I feel at an all-time low. This feels so horrible and hopeless. I may not be expressing it with enough passion but, I am just so low. I did this to myself; I have to ask WTF, do I hate myself? I know one thing for sure; I hate the way I feel and I hate having no money and huge debt. Thinking about this makes my want a solution. OK so what do I do? I want to be free of debt, maybe I'll file bankruptcy. This would be awful but, I can't pay this debt. I want money and it seems trading with the idea of gains in the short run doesn't work. What I do is the opposite of what seems right; I try to maximize the probability of a win. I can do this for a bit but, then a big loss comes and I have no big wins to cover it. Also, I am very impatient, if I enter a trade I want a win the instant I see it is filled. I want out with a win as soon as I can get it. I am super, super impatient, except if it goes against me, then I wait till it gets to break even or a small win or I just can't stand the loss and dump it at what turns out to be the worst spot and way too big of a loss. So what can I do to make money? Maybe send out resumes again, maybe try for contract work? Maybe I can sell some belongings again but, I am running out of things to sell. I still do not know what I am going to do about having no money and no income. One thing I do at times like this is my version of your breath work. Sometimes it works and sometimes it doesn't, it seems to work when I am upset or hot. I am going to try this and ask my subconscious for an answer. I will report back to you after I try this. Thank you for receiving this. Thank you or sharing your process and your feelings. You can continue to resist your feelings and medicate them with drama; the feelings you resist wind up running your life. You can invite your feelings in, listen to them, extract their messages and respond pro-actively; the feelings you honor help propel you toward right livelihood. You might consider taking the feelings you don't like to Tribe. and trying to overcome them. A lady driver was filmed adding oil	to a car's engine at a gas station. Thank you for sending me this clip. I wonder how come we have a photographer, with a stable tripod, already in place to film this episode - and doing so without distracting the oiler. Perhaps you have this one in to FAQ about 4 days too late. I feel a deep fear of developing dementia as I grow older. I experience this fear as a menacing force that lurks at the periphery of my consciousness. I believe this fear stems in part from the fact that both my parents, for different reasons, developed dementia, and also from the fact that I place a high value on my cognitive functioning. My self-awareness, my intelligence, my imagination and my sense of humor all seem inextricably bound up with my cognitive abilities. It feels impossible to picture life without those attributes. I recently read about a man who is a lawyer and revises his living will when he receives a diagnosis of Parkinson's disease. His directive states that when he becomes unable to recognize his family or to know who he is, he wants all food and hydration to be withheld so that he can die. When I first read this, I think, "That's a really good idea, I should consider that". Then I begin reading several books and articles about end-of-life care and specifically about innovative approaches to caring for people with dementia. The methods are empowering rather than controlling and infantilizing; the experience allows a much greater quality of life regardless of impairment. I suddenly realize that, with dementia, one has the possibility, if not the necessity, of living completely in the present moment. I'll have pizza and watch cartoons, thank you! I feel happy with this fantasy and I imagine helping my loved ones to be happy with it, too. You might consider taking your feelings about <losing your mind> to Tribe. I hope that you are doing well and having a great day. Several days ago my friend [Name] and I were talking and he told me about one of his friends who has an upcoming appointment with Ed Seykota. [He] and I had been talking about my financial situation and my search for safe affordable housing. I wondered if Mr. Seykota has experience or interest in working with people who became permanently and completely disabled prior to finishing college? I suddenly became ill at age 19 (1999), during my second year old pre-med studies, with a complex chronic neuro-immune condition (Myalgic Encephalomyelitis) that to date has no cure or FDA approved treatments. My symptoms are flu-like and involve physical and cognitive impairments that wax and wane but are shown to worsen due to stress: physical, mental, emotional and lack of sleep. The reality is that I haven't yet found a sustainable means of employment (but not for lack of motivation, interest and desire.) Becoming ill as a teenager, despite having worked part time since age 10, caused my total Social Security (SSI+SSDI) to be approximately 40% below the U.S. poverty line and it's expected to stay that way for the duration of my life. My goal is to be persistent, realistic, but optimistic and reach my goal of being able to afford: 1. Medical Care 2. Safe clean housing 3. A healthy diet 4. To live in a climate that is warm and somewhat dry year round (so as to minimize the symptoms of rheumatoid arthritis) and to improve my chances of working 5. Have easily accessible public or private transit and 6. To possibly return to school. I have started working on my goal by hiring a lawyer and financial advisor to help me to set up a special needs trust so that the money in the trust won't be counted and jeopardize my SSI benefits by exceeding the $2,000.00 asset maximum. If there is a way that I could invest what little savings I have so that it can work for me, than there may be potential for me get off of government subsidy and begin giving back. Eventually, I may be able to assist others who are struggling to a much greater extent. If there are any suggestions you may have, I'm eager to listen and make a positive difference for myself and others. Thank you so much for your time and considering if there's a way that you may be able to help me to help myself and in turn help others. Thank you for raising these issues. Myalgic Encephalomyelitis, aka. 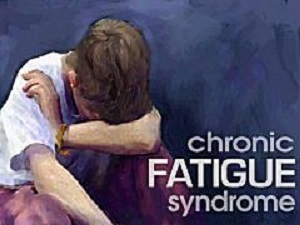 Chronic Fatigue Syndrome has no apparent "medical" etiology. Some people claim it has psychological underpinnings. I wonder if you might consider taking your feelings about <earning a living> to Tribe as an entry point. This past week I am able to serve as process manager for [the Rocks Process]. The process begins after I volunteer to to serve as process manager. I am eager and actively want to serve ... and feel comfortable with process management. I'm not really thinking about the details and I know it will be OK. I'm focusing on validating whatever happens and introducing process when opportunities present themselves. Hot seat starts with a nameless form. Hot seat says "I don't really have an issue. I have this form". We (all tribe members) immediately start in with encouragement and test for willingness,. It gets to an intense point quickly. I can tell that the tribe members all want this to work. I feel a lot of attachment from other to the process. Hot seat stalls and says something along the lines of "I got nothin' "​. He seems to be searching for an idea or an answer and mutters some narration of his process that seems to indicate that he is thinking about the meaning of his form and trying to figure it out. I encourage him to stay in his head and keep talking about how he can't find it. His form gives way to a new from and the tribe provides further acknowledgement and encouragement. It looks like he is getting close to a "freeze" point. a tribe member begins to ask "where are you?" while others ratchet up the encouragement. I see what appears to be a conscious expression of assessment happening on hot seat's face while he continues going through the motions of the form. He abruptly stops and then narrates. I feel a wave of patience and ask again if he is willing to do the work. He says that he is. We continue to encourage him to do more. A pattern emerges: form followed by CM interruption followed by willingness followed by new form. Eventually I notice Hot seat no longer appears to be consciously enacting forms. He appears to be 100% in the now of his form. I tell him to hold it there and tell him he knows this feeling. We wait a few moments and than I repeat "You know this feeling. This is it." "Tell me where you are <Name>. What's happened to you?" This gives way to identifying the key roles in a drama that we are able to role play. I ask a lot of questions about who is there. Who is usually there? What do they usually do? I ask if he likes it this way of if he would like to change this scenario. Hot seat recalls a time when he is about 7 or 8 years old. He plays with his loose tooth. He makes a sucking sound and wiggles it in and out of place. No one steps in directly to support him. His mother is preoccupied with cleaning and unaware. His grandfather is in the shed or garage, occupied with his woodworking hobby and unaware. His grandmother also peripherally present just lurks. She can't be trusted either and also subjects hot seat to violations of personal boundaries. I ask for volunteers for role play and tribe members volunteer. I do a final willingness check. We start with role play of the drama and then rock donation. There is a father that treats hot seat like he is his property, drinks and tricks hot seat - he is an antagonist. There is a mother that compulsively cleans - she donates the obsess over your work/hobby rock. There is a grandmother that also treats hot seat like his is her property and treat him is ways that hurt him and make him distrustful of her - she is a potential antagonist that threatens to appear when there is an opportunity for her to transgress. Role play and fore-giving the rocks is intense. I feel like I am almost an invisible interloper on a stage that is inhabited by real people not actors. It seems to be happening very quickly. Most of us are standing. I feel like a referee in a ring (even though there is no overt violence happening) it feels like a lot of emotion and intensity being channeled. I find I am not involved in the feelings of what is transpiring from a single point of view but from a braided point of view. I try to keep the process moving. It seems to be mostly automatic. I guide the participants very loosely. Everyone knows what they are doing and they are fully engaged in process. At one point after rocks are donated to hot seat, I stall. I question whether or not we should replay the drama again with the rocks before fore-giving them.​ There is a very brief exchange between myself the tribe and hot seat. It feels like a very long pause. The pause is over, we move to forgive the rocks. Earlier in the day before our meeting I walk on the beach with a friend. I look for shells to bring home for my kids. I come across some tiny shells that remind me of teeth and collect a hand full. I reach into my pocket and hand a shell ​to a tribe member. " Will you donate heart rock?" he says he will and at the right moment he does. We replay the role play again. This time with heart rock in hand, hot seat is able to share his feelings with his father and prevent the incident. He establishes his boundaries and asserts that he'll have his eye on his dad. Hot seat's father seems to feel the impact of his habits and behavior and shifts his stance to one of having been revealed as a bully. He seems quieted and saddened by the realization he hurts his son. Hot seat decides that he will tell his grandfather about his new way of being. He'll share how he feels and that he plans to set things straight with his mother and grandmother as well. The grandfather is encouraged, holds back from encouraging hot seat outright and shares that "that would be something" and that he is unsure how it will work. Hot seat is sure and committed. Role play continues, hot seat connects with his mother and they come to an agreement about clean and dirty that they both like. The grandmother appears. She approaches from the back, nearly sneaking up on hot seat and getting too close. She puts an arm around him and holds both shoulders, one in each hand as if to steer him somewhere. Hot seat asserts himself by stepping away and turning to face her, eye to eye. He tells her how he feels and then learns how she feels. He is able to establish a boundary and establish that he will not be transgressed against. The grandmother confesses that she does not want to believe that what the way she treats hot seat hurts him. Even so, she agrees to relate in a way that hot seat accepts. Hot seat returns to his grandfather and shares what transpires with his mother and grandmother. The grandfather want to know how and hot seat teases that hell let him know sometime. We check out in role. Hot seat releases roles and thanks us. We check out as ourselves. I feel peaceful and glad. I think that it's a neat coincidence that I have a tooth like shell to offer as the heart rock in light of hot seat's lost tooth drama. I remember that it is my intension to serve my tribe and our chief and this feels like this process is as it should be. As I write this update I realize it has taken me over a week to mentally process the event. I feel surprised and glad I didn't rush. Typically in rocks process I feel the feelings of the role I play. When I participate out of role, I typically identify with hot seat or one of the roles. Occasionally both. In this case as PM​	I feel surprised at the feeling of experiencing the hot seat feelings along with all of the feelings of the different roles. Again, it feels like a braid or chord made of individual threads of feelings. The next morning we have system lab. Hot seat states that he has some unfinished business. We reinstate roles from the prior ​evening. Hot seat uses heart rock to apologize to his grandfather for teasing and evading regarding using heart rock. I feel really solid. I feel a sense of pride and joy in my chest. I feel that I am in the company of truly great people. I feel glad I have the good fortune to be part of such a courageous and supportive group of people. I feel a similarity between being a receiver/PM and trading well. I feel a feeling of patience and lets go with what happens. Thank you for sharing your process and for managing the Rocks Process. Congratulations for your ongoing work in different fields and to keep your website updated in all sections. namely: stop resisting and ride the trends. I trust the subject "it" refers to the Assimilation Model, mentioned in the previous paragraphs. I feel puzzled as in your writing the tone is softer nowadays and you seldom use imperative forms (stop resisting and ride the trends). You might consider focusing on what you can do, as an individual, to position yourself and your associates for the 39th day. You might even enjoy the ride. Thank you for sharing your process and observations about FAQ. I wonder if you'd like to share how you measure "buying pressure" and "selling pressure" as per your model of Price Dynamics in you book Govopoly, pages 265-268. In my research work, measures related to the direction and amount of prices move matter more than the ones derived from volume/ open interest. Thank you for raising this issue. Buying pressure, per my model, combines fundamentalist pressure and trend-trader pressure. The former responds to the price level relative to the perception of value; the later responds to the trend. The model needs both types of pressure to generate cycles. In addition, I have "moral hazard" as a modifier for trend-trader pressure. In the model, as moral hazard increases, so does the sensitivity to trend, the volatility and the tendency to entrain price bubbles. Tribe starts as usual. On time, Drumming, check ins; it feels familiar. I have felt kinship with my tribe members from the start, and yet, this time it feels, somehow different, maybe because of the work we did last week when I was on Hot seat. The Tribe is developing, building and refining skills, This is the second meeting where someone other than Chief manages a process. This meeting Chief takes the Hot seat. Seeing Chief on Hot Seat is comforting somehow, it reminds me that it's about progress not perfection. I want all my K-nots to dissolve after one turn on the Hot Seat, I see that we all have K-nots that show up, we all benefit from Tribe work. This meeting I role play as a woman during both processes. I wonder what that's about. Perhaps I am getting more in touch with my Feminine/ feelings/emotions side now that I have heart rock. Perhaps it is coincidence. These days I am looking at my beliefs about God, and the role of coincidence, luck, chance. At the beginning of the meeting Chief tells a story about an impossible event that happened to him recently. The odds were like a billion to one, yet it happened. Billion to One has happened to me in my life. I recall a book called the Celestine Prophecy. The book postulates that there are no coincidences, everyone we meet has something important to teach us, something that is important at that moment in our journey, or we have something important to teach them. The book postulates that the more we pay attention to these Non- coincidences, the more they occur. I feel certain that Chief's story is important and relevant to my spiritual process. I am grateful for my Tribe, I am grateful for my heart rock. I look forward to more. First client opened a issue that he what to work, he was very afraid, and at the same time he was very committed to solve the problem. The issue was related to something that happened many year ago, that experience that he lived developed a behavior that he wanted to change. He lived rock process. many learned behaviors were discovered in this process. Second client said the problem he want to work, he started to develop many different forms. the client is not clear that was bothering. It was a long process. to relate that feeling with some past event in your life. until the manager discovered achievement which was the event where guests experienced a lack of communication of feelings with several family members. Then rock process was conducted. Thank you for documenting the meeting. I hope you are well. I do miss our conversations at Tribe. I greatly miss the Austin Tribe. I miss seeing you and everyone else involved. I have deeply felt sadness about the past and missing out due to my intention of doing so according to my results. I hope someday to join you in Puerto Rico for Tribe, Workshop or Breathwork event. Are there any plans for a Breathwork weekend? As you know I have been attending AA and been sober 25 years. I had an Aha moment in meeting the other day. I realize that all of my problems are related to the unwillingness to feel my feelings. I denied them for some time after my booting from Austin Tribe. This did not help my situation it only made it worse. I have recently been looking over my notes from workshop and reading FAQ. My wife being the wonderful person she is has patiently waited for me to figure this out. When I quite denying my feeling expression I am able to make real progress towards my goals. I feel better overall about my life, since I am not shutting down with depression etc. I hope to realize my goal of developing a system and trading for clients in the next year or two. I know that I need a Tribe, and since there are none very close I will need to start one. If I had been current with FAQ I might have considered coming to the Puerto Rico Tribe. I see you are working on systems the day after. Thank you Ed for helping me discover my feelings and understand how they run my life. I have tools thanks to you of how to deal with them. You can buy a trading system and you can also buy a wife - although neither comes with a guarantee of a happy relationship. I'm I am an university student in [Country]. I admire you very much because of your courage to face the fact of setbacks. I want ask two questions. How to choose the suitable style of trading? To be honest，I don't expect that you can reply. I have traded for a year and a half，I keep learning from my failures and I'm looking forward to your letter. Thank you for raising this issue. The right trading style, like the right career and the right wife, varies from person to person. You might consider taking your feelings about <choosing a style> to Tribe. Consider, country music doesn't really need a banjo to be good. Thank you for sending me the clips. I might guess you like this kind of country music even without any instruments at all. At the previous tribe we have 3 people (interstate members away, two people confused about the date, one local person at end of month overload). We chat happily and no-one feels hot. No hot seats occur. This week 2 interstate members away, one member has a last minute crisis with his son and calls in shortly before the meeting so 5 present. Member #1 reports his trading revamp is going well and he is up 5% this month. He looks happy. Member #6 has quit his job which he didn't like for many reasons. He feels confident he will find a better job without too much trouble here in <country>. After exercises including "get off my back / no way" we ask who feels hot. Put your hands up with number of fingers showing degree of hotness. #2 wins and we go straight into it. He feels a general anxiety. He worries about his health, his trades, spends a lot of time thinking about worst case scenarios. Hot seat begins. At the high point of emotion he freezes it and recalls his first solo business venture. He became consumed by fears that it would fail, he would lose his house, the car, etc. He ends up selling the business, which seems like a somewhat reasonable outcome after a period of great anxiety. The scene we reenact is that his business is off to a slow start. His father asks how it's going. He says "fine" but doesn't feel it. His mother donates the strategies by example. The phone rings - must be bad news. The phone doesn't ring - must be even worse news! A letter arrives! This approach comes perhaps from her younger days during the civil war in the old country. - It's the end of the world. - Worry yourself sick about it. - Keep it to yourself though and worry alone. At first we suspect this scene is too late in HS's life to be the archetypal scene but it does seem to work. We reenact and HS feels these strategies and owns them. We ask does he want new strategies. Yes (after he thinks about it). - Share how you feel with someone rather than maintaining a front (heart rock). He likes this one best. - Lean in to the anxiety and process it for its positive intention. - Consider the actual situation and the odds. - Realize that learning requires some exploration and trial and error i.e. 'failure'. - Normally there is no need to panic - give yourself time to deal with the situation. We reenact and HS gratefully declines and forgives the old rock, seeing his mother means well - he receives her good intention. He takes on the new rock and quietly processes it through various scenarios in his life. He expresses satisfaction. Even though I was next hottest I save mine for last but commit to doing the hot seat. Member #7 is upset her mother keeps trying to persuade her to leave her current partner, using various hurtful arguments. HS ramps it up and we freeze it. The scene comes to mind. She moves out of home to avoid violence and mayhem and stays with her brother. They are discussing her plans to move to the big city, He says "You will never make it" with a sneer on his face. The strategies she adopts come from Mom. Mom gets abused by Dad and her solution is to get angry but hide it, work harder and harder and be perfect. Prove them wrong. - Do everything you can to prove them wrong e.g. by being perfect. - Get angry and upset. - If you don't work harder you will be a failure. - All this applies doubly if you are girl. HS is working a full time job, as well as doing web development for many hours each day, and goes to the gym daily. She is in impeccable shape. She is getting 5-6 hours sleep a night during the week. We reenact and HS feels it in full. "You will never make it" seems to hit home. - Appreciate your mother's intention to protect you and respond to that. Appreciate her intentions. Rather than just responding to her criticisms. (Also heart rock). - Share your feelings with your mother, that you feel sad your mother doesn't like the relationship with <partner>. Rather than proving she is incorrect about him. (Also heart rock). We reenact, HS forgives the old rocks, and HS feels happy with the new strategies. She processes them through various scenarios in her life. She states her intention to use these strategies in upcoming conversations. In debrief after the players are released from their roles I suggest HS may find that her attitude to working super-hard may also change subtly in coming days. I make some more changes to my futures trading system and this requires a fair bit of retesting. I feel nauseated and bored at the prospect. I also feel some anxiety in the background. Also, the day after tribe is my second deadline for trading futures, which I will miss. I have promised to take three Tribe members out for an expensive meal if I do not make the deadline, so now I have to do it. Actually I am looking forward to the meal but it is also embarrassing. At the peak of the hot seat a scene comes to me. I am at school. We are learning about atoms - again! I feel simultaneous boredom from the lessons repeating the same old stuff and anxiety about being punished for real or imagined offences. I love learning but I found school unbearably boring, because of the slow pace and also because of the compulsion. At this point I realize that with the "three hours a day" commitment and the deadlines I have lost touch with my reasons for doing the trading work. These reasons are that I find markets interesting, if I trade well enough I don't have to have a regular job, I can incorporate my interest in machine learning into the trading work (e.g. bias/variance techniques for avoiding over-fitting), and I enjoy programming. By adding all that externally focused compulsion I have detracted from my intrinsic motivation for doing all this. So I decide to refocus on why I am doing the work and see if that motivates me. At this point I don't feel I need a rocks process in this case as the explanation is now so obvious. As always, if it doesn't work, we can do it again. Over the next few days I find I am working on the system in a more relaxed and light hearted, fun way. My level of stress about it goes down and this makes it easier. I feel members #7 and #6 being present added something - a sense of urgency and commitment perhaps - that we lacked the previous week. On the long drive home, to bed at 2:30am, I reflect that my early Tribe issues were often about nightmarish traumas but now they are about more normal things. But still very useful. I also notice that the results from some old hot seats keep getting better. In these cases I had long-standing habits of mind. With the underlying drivers from these old habits gone, they gradually fade. Thank you for sharing your process and for documenting your meeting. I wonder if you can provide more detail about how you conduct the fore-give-ness process. regards Thank you for raising this issue. You might consider running some back tests to find out what works for you.